Project Management Professional (PMP) committed to successful arts programming and productions. COMMUNITY MUSIC SCHOOL LIFELONG ENGAGEMENT WITH MUSIC EXPERIENCE music. CREATE your pathway. BELONG to our community. Building on 40 years of intergenerational learning, the Community Music School strives to enrich lives by providing experiences that promote lifelong engagement with music. 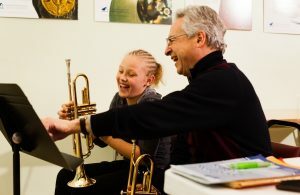 The Community Music School offers music and arts education for students of all ages from infant to retiree. 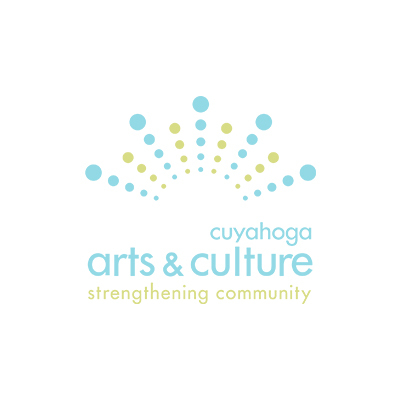 The Center for Arts-Inspired Learning (formerly Young Audiences of Northeast Ohio) enriches the lives of children and promotes creative learning by uniting arts and education. 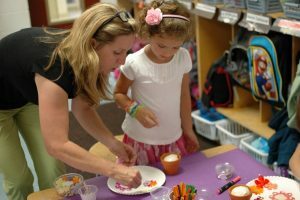 The Center for Arts-Inspired Learning engages children through the arts in active learning to develop innovative thinking and problem-solving skills to succeed in college and the 21st-Century workplace; and it serves as a resource for Northeast Ohio educators. 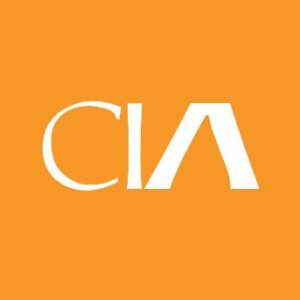 Cleveland Institute of Art is one of the nation’s leading accredited independent colleges of art and design. For more than 130 years, the college has been an educational cornerstone in Cleveland and produces graduates competitive as studio artists, designers, photographers, contemporary craftsmen and educators. Founded in 1920, the Cleveland Institute of Music is one of seven independent music conservatories in the United States. Known for superior training and a strong mentorship teaching approach, CIM offers orchestral, chamber music, audio recording, composition, piano, and voice and opera music programs at both the undergraduate and graduate levels. Alumni perform in major orchestras and opera companies, as soloists and chamber musicians, and hold prominent teaching positions worldwide. One of CIM’s distinguishing characteristics is its strong and historical relationship with The Cleveland Orchestra. Nearly 40 of its members and emeritus members teach CIM students—in both the conservatory and preparatory divisions—and fully one-third of the Orchestra’s members attended the institute. CIM’s internationally acclaimed faculty also includes practicing musicians, award-winning composers and producers, published academics and sought-after lecturers. Through a longstanding educational partnership with neighboring Case Western Reserve University, CIM students participate in a well-rounded liberal arts education. 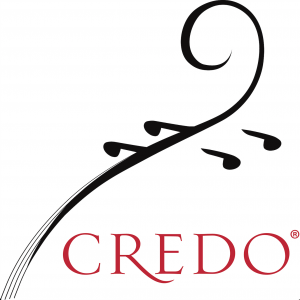 Through our Preparatory and Continuing Education division, we offer music training for all ages and abilities. CIM is accredited by the Higher Learning Commission (HLC) and the National Association of Schools of Music (NASM). The Cleveland International Film Festival promotes artistically and culturally significant film arts through education and exhibition to enrich the life of the community. Founded in 1977, the Festival presents the newest and best films from around the world and does everything in its power to make sure that the audience learns something along the way – about other cultures, about the topic at hand, about the experience from the filmmakers themselves. Cleveland International Piano Competition was founded in 1975 to honor pianistic excellence, to support the best musical qualities of young artists and promote international friendship and good will through music. Recognized by the International Federation of World Competitions, this competition is proud to take its place among the major cultural institutions named after this great city. 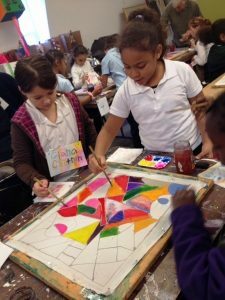 Soon after the founding of the Cleveland School of the Arts (CSA), a supporting group called the Friends of Cleveland School of the Arts was established in 1982 to ensure funding of quality arts education opportunities. A specialty arts school in the Cleveland Metropolitan School District, CSA is known for its strengths in both academics and arts. 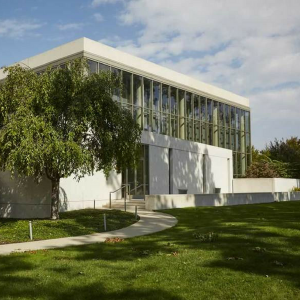 Changes and transitions in recent years include a new building, the Friends becoming the Cleveland School of the Arts Board of Trustees, and a full transition to focus on serving 9th-12 grades. The Trustees support the school throughout the entire year, with a mission to create an environment that empowers children with the opportunity to achieve excellence through an arts education. 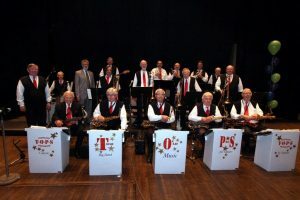 Cleveland (Tough Old ProS) Swingband is a group of dedicated, mostly retired professional musicians committed to providing “classic big band music for seniors by seniors” (& juniors too) since 2005. TOPS performs in many private, public & educational venues with a primary focus on senior centers and living facilities regardless of affordability. Christine and Joline, two College Colleagues, opened a delighful learning center in 2016. The two had combined 30 years of experience in designing and implementing student success programming for learners of all ages and abilities. Christine was even certified as a College Reading & Learning Association Tutor in 1996, and she has been tutoring and coaching for 22 years! It is a dream come true for us to be able to provide a safe and motivating center in Middleburg Heights, Ohio. 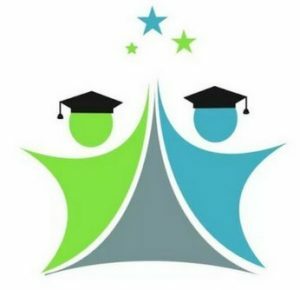 We have a team of Colleagues that assist K-Adult students in the areas of: math, reading, writing, science, SAT, ACT, ASVAB, HESI exam prep. Just call, text, or email us for a free initial consultation. We will learn more about your goals and provide the right coach for you. We also provide Educational Consulting to schools, universities, colleges, organizations and businesses. 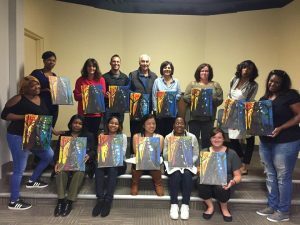 At the center, we provide classes from art to cursive handwriting. 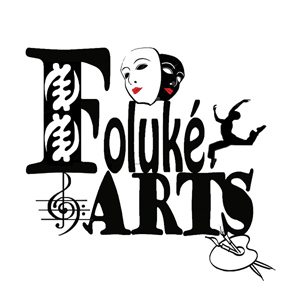 Please visit our website to learn more about our unique and creative programs and classes. Co-Artistic Directors Ryan Santa and Beau Buccilli worked on their first show together in 2012. Since then, their comedic partnership has lead to numerous sketch shows, plays, and podcasts. By the grace of almighty Dionysus, they are joined by TJ and Caroline Gainley. A powerhouse couple in terms of theatrical and technical ability. 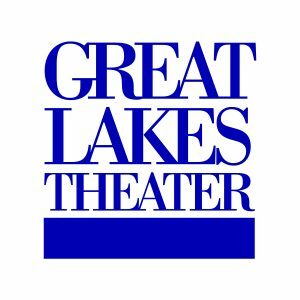 All four are graduates of Case Western Reserve University’s Theatre program. 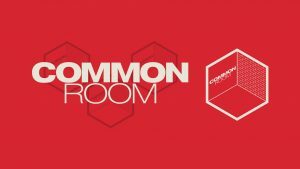 We think of a common room as a place where everybody’s welcome. It’s somewhere we can all hangout, laugh, and generally have a good time. So let’s play some games, drink some drinks, and have some fun. Come laugh with us. Fire and Light Performing Arts is Northeast Ohio’s premiere live event entertainment company and community flow art and dance studio. 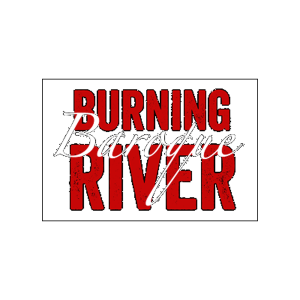 Our entertainers create spectacular performances through movement of fire, light, and day props, stilt walking, character acting, circus arts, and other specialty acts. (Learn more on our bookings page.) We integrate styles of flow art, dance, and other circus and performance arts. We inspire others to experience and learn the flow and fire arts (safely). (Take a class at our studio at IngenuityLabs at the Hamilton Collaborative!) We provide a home for our growing flow arts community. We offer creative thought leadership for developing special performances and fire safety methods. The overall goal of iN Education is to increase overall Standardized Testing averages, improve ACT and SAT test prep awareness, teach youth the “hard and soft skills” necessary for success in all industries, provide incentives to achieve high levels of education, emphasize the importance of continuing education, and address health and wellness for families. 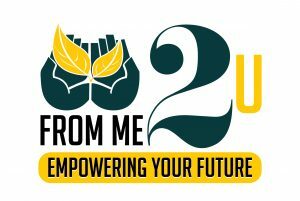 We achieve this by offering year-round supplemental educational programs including structured internships and “teen-entrepreneur” opportunities in which hands-on involvement taps into their creative abilities. Ingenuity Cleveland ignites the spark of creativity among artists, entrepreneurs and innovators of all types, through joy and collaboration, in service to civic progress. With our annual IngenuityFest and year-round programming, we inspire audiences, push boundaries, empower communities and generate economic impact, all while changing attitudes about our region. 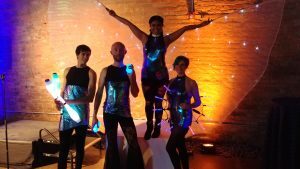 2017 Programs IngenuityFest 2017 took place at the Hamilton Building from September 22-23 and featured five fully-programmed stages, dozens of art-tech installations, maker exhibits, and dance performances. A diverse audience of over 15,000 people attended, including families with children, youth, young professionals, and seniors. IngenuityLabs complements the Festival by providing tools, space and resources to artists and entrepreneurs working on-site to build new projects or scale business ventures. We are building additional programming around IngenuityLabs to serve the annual cohort of 6-10 incubated projects, as well as the broader community. The Ingeneers is the volunteer-driven group of nearly 50 Ingeneers who meet weekly in the space to socialize and share skills, create large-scale works of art, and improve the former industrial space Ingenuity occupies Ingenuity also consulted on place-making projects for the City of Shaker Heights, including the Moreland Rising project and the Shaker Maker Fair. The Joyful Noise Neighborhood Music School offers lessons and use of instruments, both free of charge, to K-12 children in Cleveland. Volunteers give individual music lessons to over one hundred students, together with classes in drama and creative writing. Through these, and a multitude of opportunities for listening and performing, the School strives to give all its students an understanding of how the musical and associated arts can enhance their day-to-day lives. As a young teenager, Kurt received a camera from his father, a gesture greatly underestimated at the time. Growing up in California and Illinois, Kurt found much to photograph from the start. A deep love of nature and its conservation was sparked during his scouting years by his Eagle Scout father, while from his artistic mother he inherited a natural eye for composition. These qualities pervade his work to this day. In the early 1990s, Kurt began a transition into what for many years now has been a full-time professional photography career, encompassing a wide range of commercial photography as well as creating fine art nature, landscape and abstract photographs. “My therapy is time spent in nature,” he says, which he shares in the purest form possible, noting that “what I photograph in nature is not subjected to Photoshop manipulation.” One early expression of his love of nature was the creation of PhotoHealing, an art therapy project in the form of a multimedia slide show that saw wide presentation in healthcare facilities, churches, libraries and other venues. Today’s version of PhotoHealing is a monthly e-mail newsletter featuring Kurt’s selection of the month’s most beautiful and intriguing photos published since 2011. Since 1980, Kurt has called Cleveland, Ohio home, and has found endless photographic opportunity throughout the state, in every season. 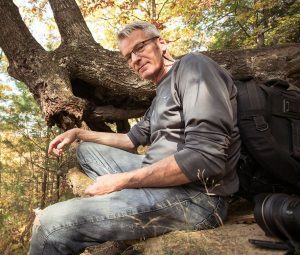 He often startles viewers with the beauty he finds in the commonplace: “I see beauty in places and things many pass by unawares.” Since 2011, Kurt has been able to reach a greatly expanded audience, sharing his work commercially through a licensing agent, selling thousands of images worldwide each year.